Whiplash and Neck Pain usually occur as a result of Motor Vehicle Accidents or Slip & Fall Accidents, when upon the collision impact or fall the person’s head sharply jerks forwards or backwards. As a result, ligaments and intervertebral joints of the cervical spine are damaged. 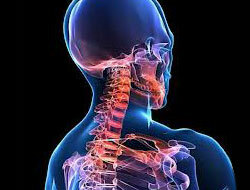 The symptoms of Whiplash Injury are as follows: headaches, pain and heaviness in the arm, pain between the shoulder blades (referred pain), disturbances in concentration and memory problems, blurred vision, ringing in the ears, tingling in the face and fatigue, sleep disturbances, irritability, and depression. Vertigo as a result of Whiplash Injury often does not appear in the acute period, but within 1-2 weeks after the injury. The vertigo in such cases is caused by an abnormal stimulation of the neck receptors. As this injury occurs in the absence of visible damage to the neck, timely and correct diagnosis is difficult. a long period of time and the victim will develop "post whiplash syndrome." The consequences of Whiplash Injury can occur even after several years and cause such diseases as arthritis of the intervertebral joints or degenerative process. a fax to 647-340-2899, or complete the form on our website in order to get a free consultation.